This is photo #26 (of 50) in a series about life in Brazil. The other day I missed lunch because of a doctor’s appointment and popped into McDonald’s for a quick bite. The two smallest hamburgers and a small juice cost 14 reais (a little over $5). 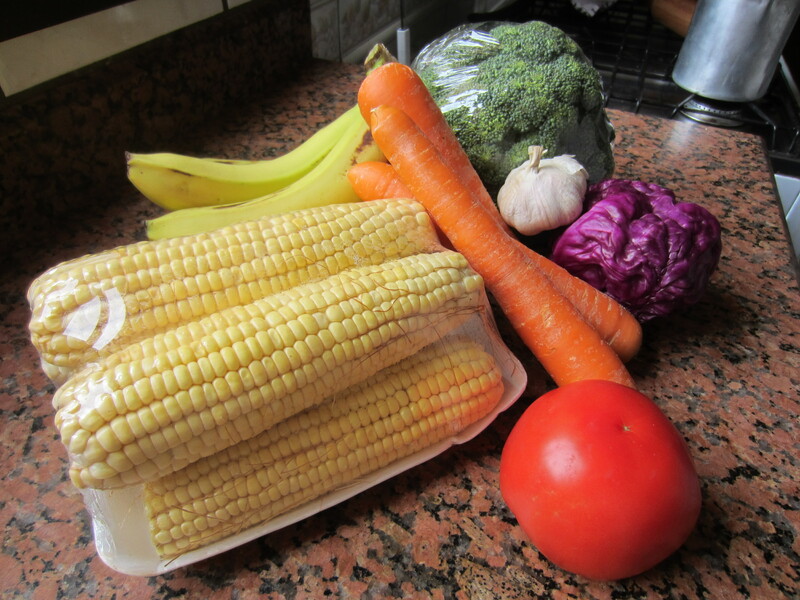 The next day I spent the same amount at the street market and bought all this lovely produce – obviously a “better bang for my buck.” It’s good for our health that fast food and processed foods are much more expensive here. The fresh produce look so good!!! Love all your posts! Pray for you all daily! Love you! Yeah !! God knows our needs ! !